You are at:Home»Caught In The Act»MAN FINDS MAGGOTS IN QUAIL EGGS BOUGHT FROM NTUC. Seems like this is not the first time. 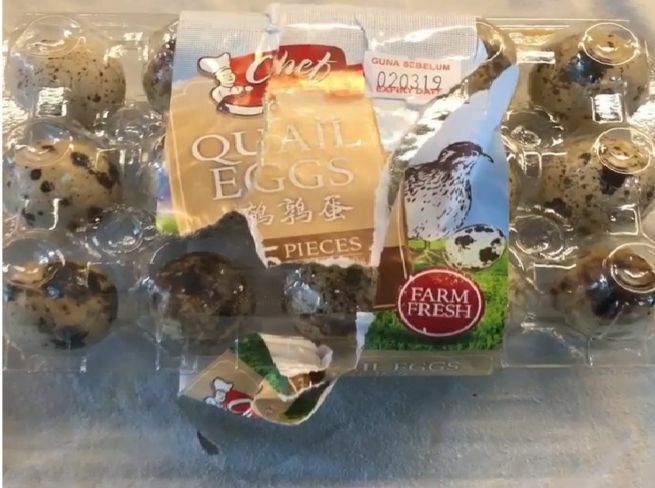 The following post shows 2 other incidents of maggots found in quail eggs. WORMS FOUND IN QUAIL EGGS FROM BEDOK NTUC. BEWARE!